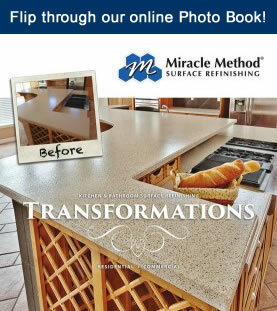 Want to transform your outdated kitchen countertops or discolored bathroom vanity for the New Year? Try a beautiful, low-cost remodeling alternative over replacement from Miracle Method. 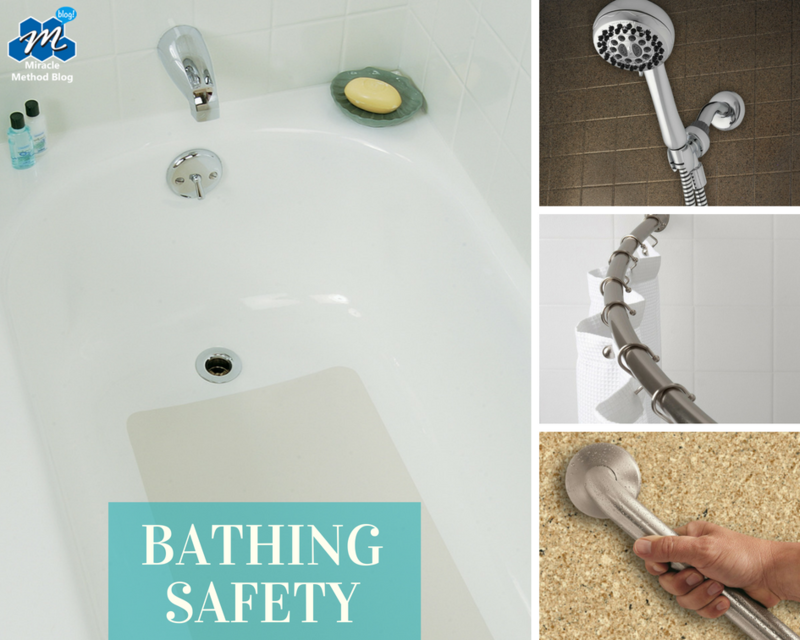 Upgrading your kitchen or bathroom doesn’t have to cost a fortune and cause weeks of demolition mess. 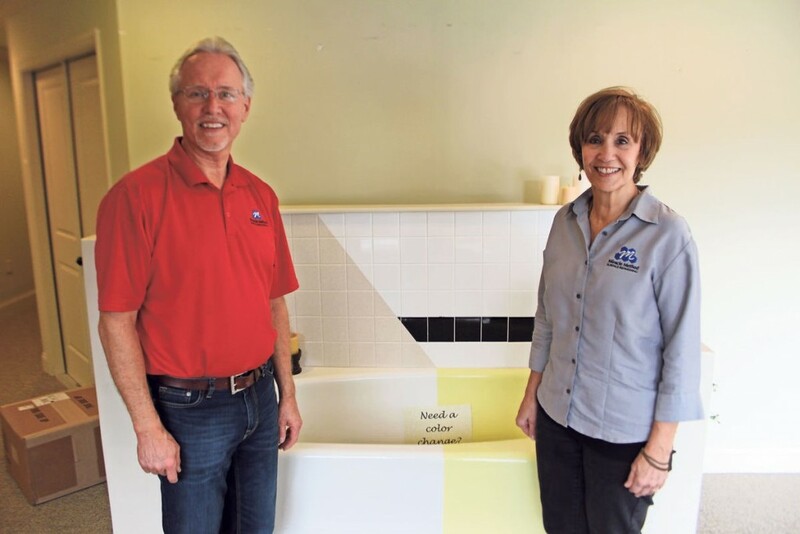 Start the New Year off right by finally getting the kitchen or bathroom of your dreams. 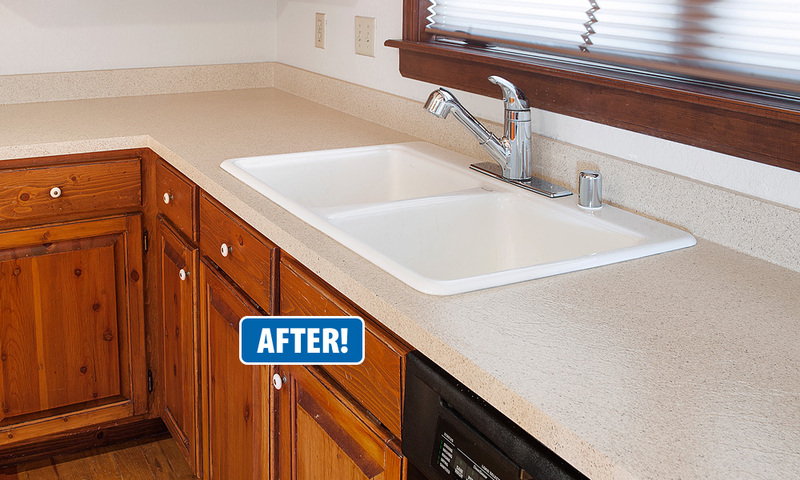 Find out how you can use refinishing to save time & money upgrading your existing kitchen or bathroom surfaces. 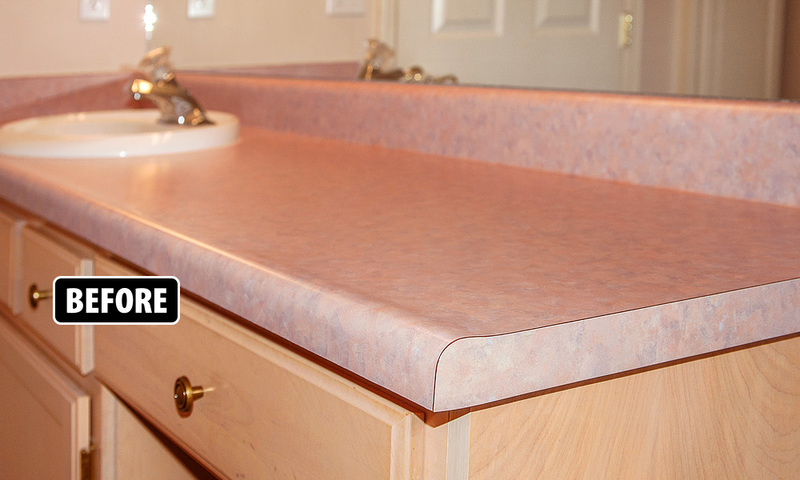 If you’re looking for a solution to change the color of your avocado green or retro pink countertops or vanities, then surface refinishing is the ideal solution for you. 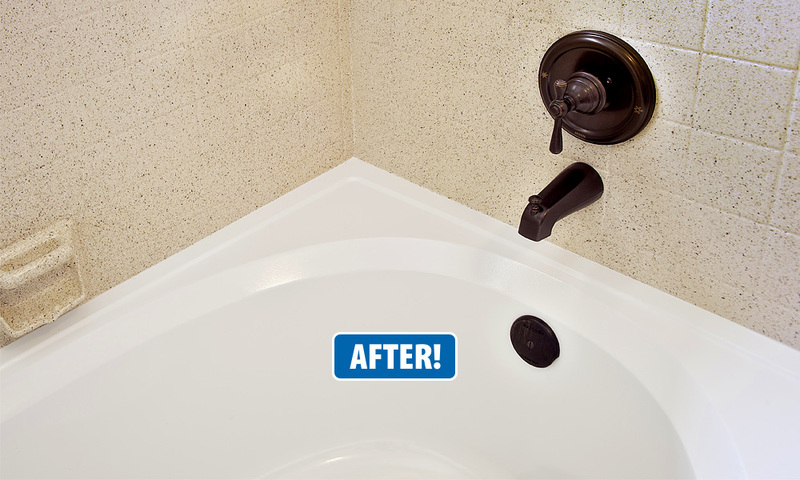 Surface refinishing provides a quick and affordable way to change the color of your existing fixtures without any type of replacement remodeling involved. 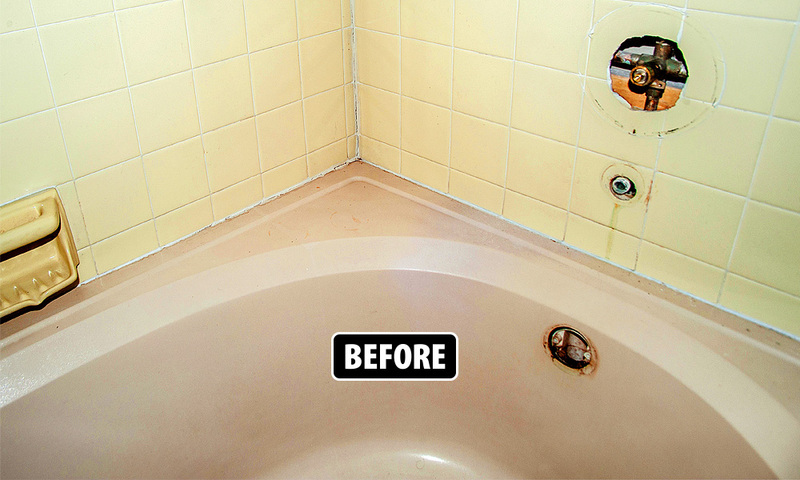 Check out the vanity transformation below – Miracle Method restored the discolored surface to look and feel like new again! 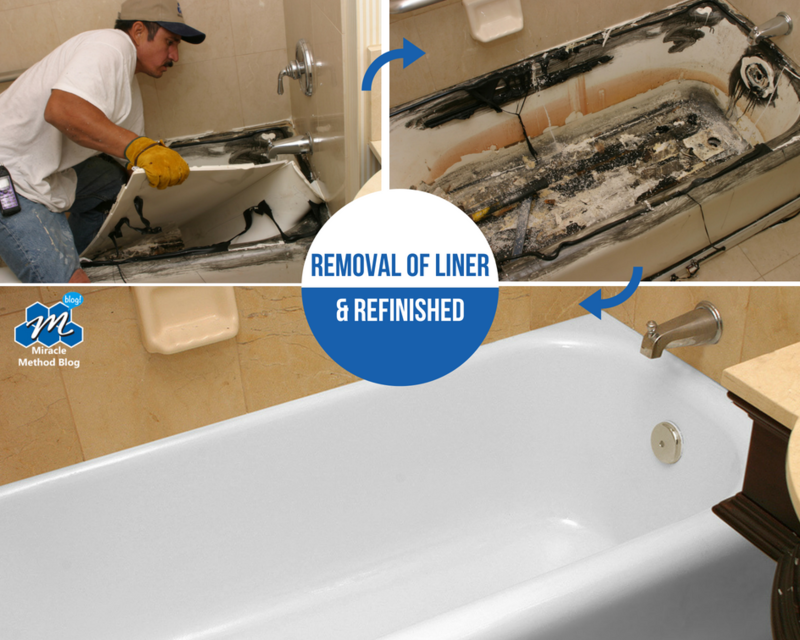 Instead of tearing out and replacing damaged surfaces, you can refinish them. Miracle Method can repair the surface, fixing any knife cuts or burn marks before applying their proprietary bonding agent, MM-4 which ensures a strong, durable bond between the old surface and the new finish – and the results are absolutely beautiful! 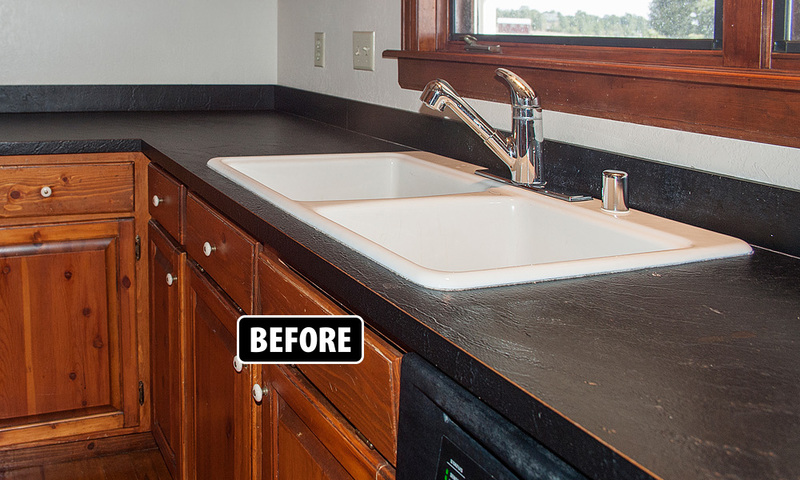 Refinishing outdated surfaces, instead of replacing them can save you thousands! 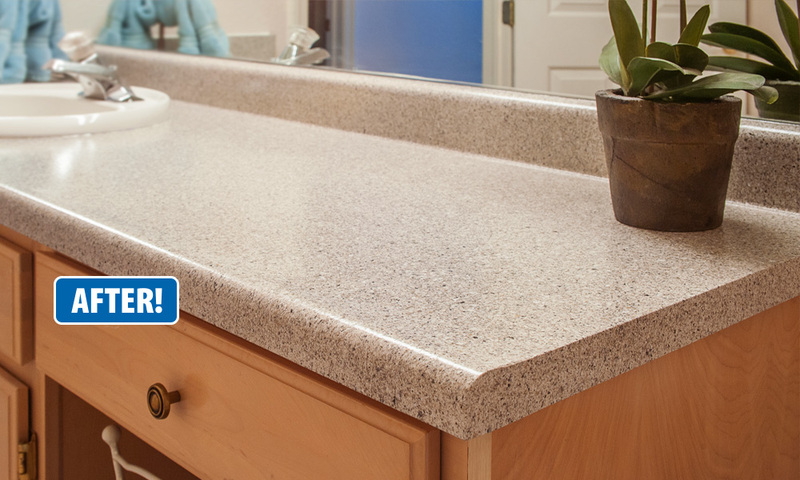 Miracle Method’s Natural Accents® stone-look finishes are a beautiful and durable alternative to replacing kitchen countertops or bathroom vanities. By refinishing in stone-look finishes you achieve a high-end look without the high-end price tag! View designer color finishes right here. 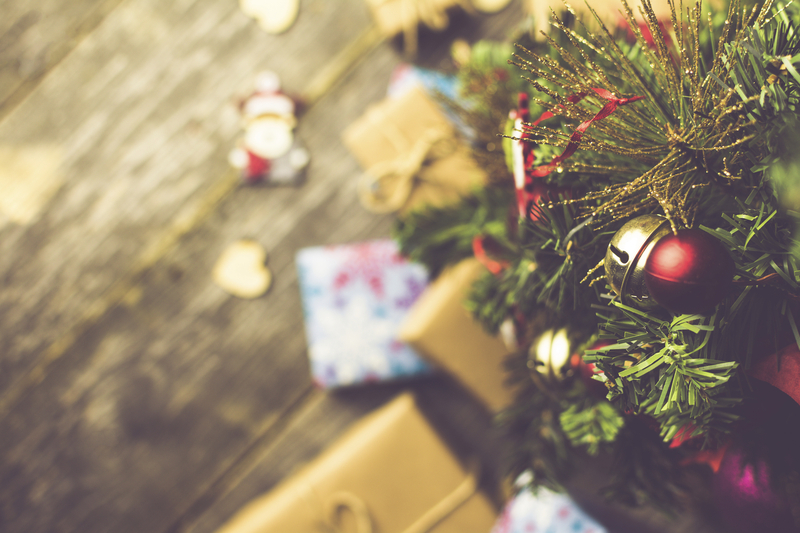 For a free estimate contact us today at 855-212-7337 or click here to find a Miracle Method location near you – bring in the New Year with a beautiful new kitchen or bathroom!